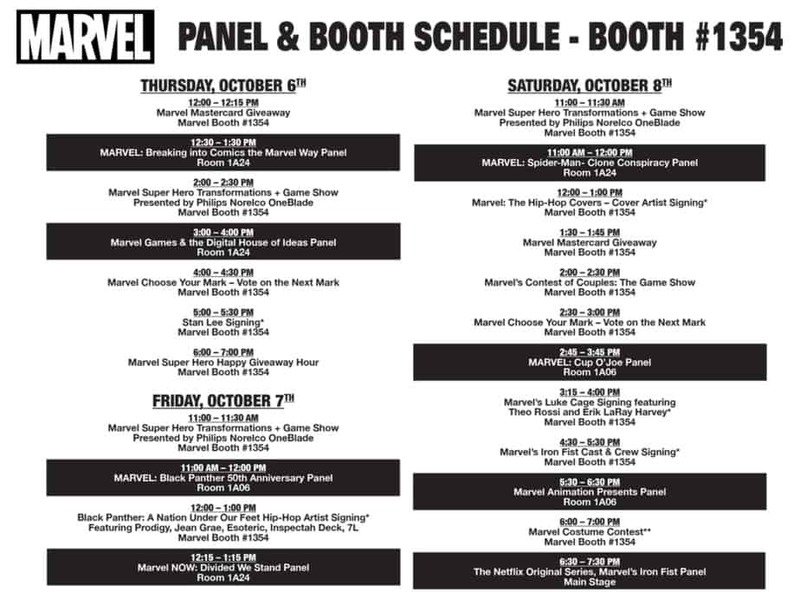 Marvel Comics is planning a number of events this weekend at New York Comic Con (NYCC), to be held October 6-9. On the exhibit floor, Marcel (booth #1354) will be holding giveaways, signings and game shows. 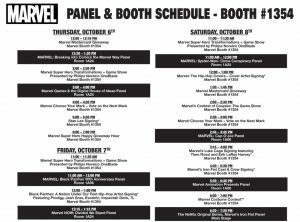 In addition, Marvel will be hosting a varied slate of panels relating to both its comics and its television properties. 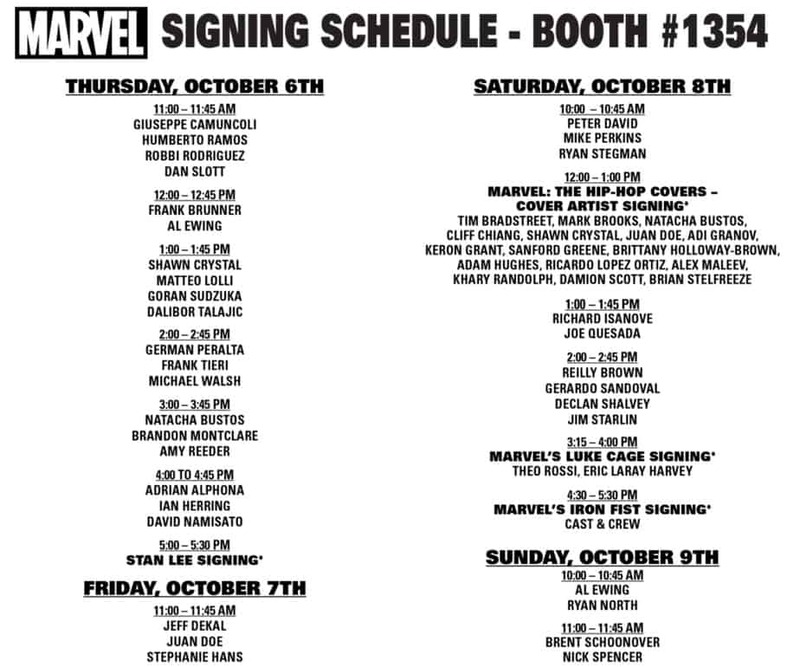 One of the more unique offerings at the Marvel booth will be the Hip-Hop Cover Artists Signing, which will feature 16 of the artists who created Marvel’s recent hip-hop variant covers. 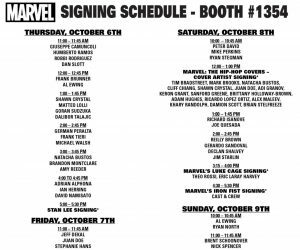 This signing will take place at booth #1354 on Saturday, October 8 at noon (tickets required). Another hip-hop-reflated event is the Black Panther: A Nation Under Our Feet signing on Friday, October 7 at noon, which will showcase some of the musical artists who have contributed to this project, as well as featuring a convention-exclusive poster which includes every hip-hop artist who has contributed to the series. (tickets required). For both signings, tickets will be distributed at the booth when the convention opens, on the morning of the event. 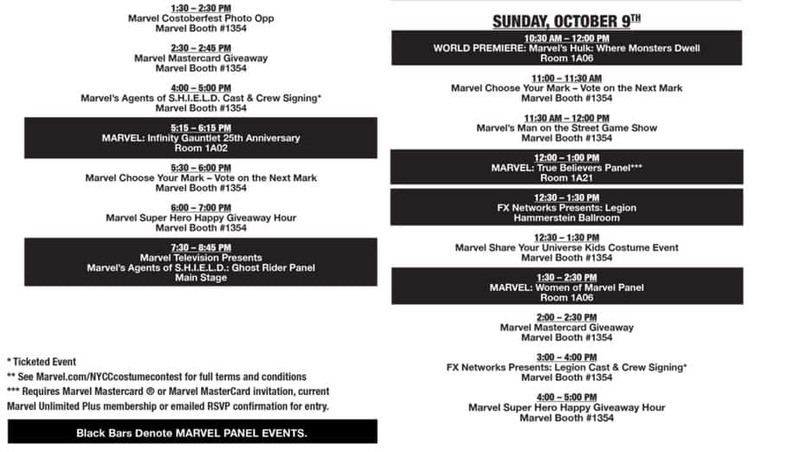 A complete list of all of Marvel’s NYCC signing and events follows below. Are you planning on attending any of Marvel’s signings, panels or events at NYCC? Join the conversation on FoCC!